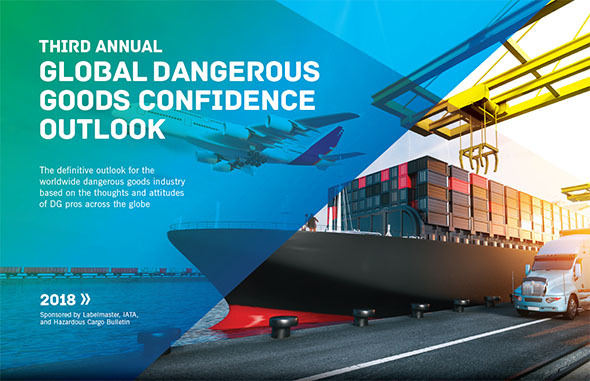 At the recent Dangerous Goods Symposium, representatives from Labelmaster, Hazardous Cargo Bulletin and IATA previewed the results of the third annual Global Dangerous Goods Confidence Outlook—the industry’s most comprehensive survey. 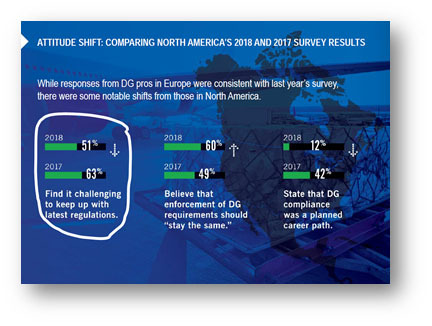 Gathering responses from 500 hazmat professionals on five continents, the DG Confidence Outlook is the definitive snapshot of our industry. And, now that we have two previous surveys as a baseline, it’s possible to see how critical issues are trending. How have the concerns of the world’s airlines, freight forwarders, shippers and Dangerous Goods trainers evolved? Here’s a look at five startling results from this year’s survey. You can download the complete e-book below. 1. 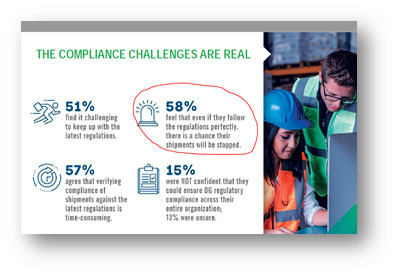 58% of respondents feel that even if they follow the regulations perfectly, there is a chance their shipments will be stopped. At the DG Symposium, HCB’s Peter Mackay asked, “Is this a result of over-exuberant enforcement? 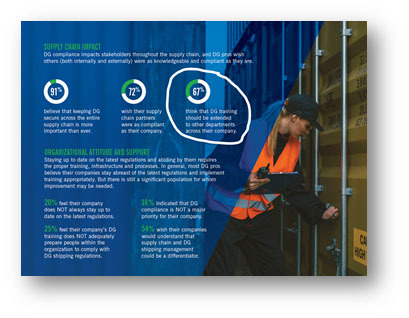 Maybe inspectors need to be better trained.” Whatever the explanation, this stat speaks to a degree of randomness in the DG supply chain that can be incredibly discouraging. 2. 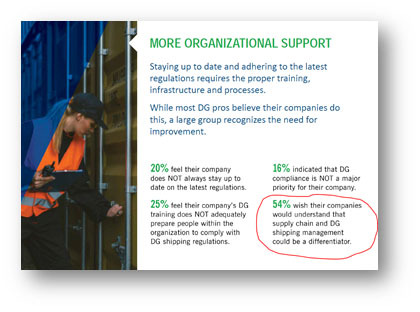 67% think DG training should be extended to other departments across their company. We’ve long recommended Dangerous Goods training for people who don’t necessarily fit the definition of “hazmat employees”: call center staff, salespeople who travel with samples, and upper management, for example. It’s great to see that two-thirds of the industry is coming around to our way of thinking! 3. 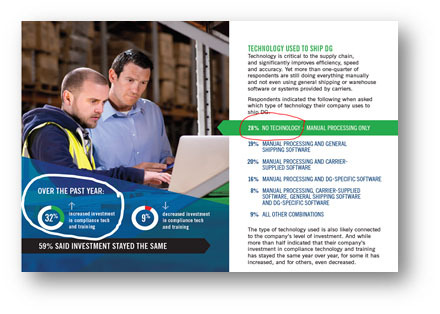 54% wish their companies would understand that supply chain and DG shipping management could be a differentiator. 4. Over the past year, 32% of respondents have increased investment in compliance technology and training. 5. The percentage of North American hazmat pros who find it challenging to keep up with the latest regulations dropped 12 points. Have hazmat pros gotten that much smarter in the last year? Unlikely. We’d guess this drop might have more to do with 2017 and 2018 being relatively quiet years on the U.S. regulatory front. Plus, we at Labelmaster introduced our complete line of online training courses last year, so it’s only natural that the industry feels better prepared. When you download the complete survey results, you’ll find dozens more data points that will surprise you. More importantly, you’ll find data to take to your superiors—and your company’s C-suite—to convince them that they need to make Dangerous Goods compliance a greater priority.